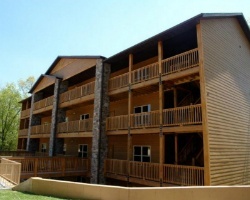 Enjoy brilliant views of the Ozark Mountains and Table Rock Lake from your own private balcony. Located near Silver Dollar City this secluded resort provides guests with a private retreat surrounded by the serene Ozark Mountains. 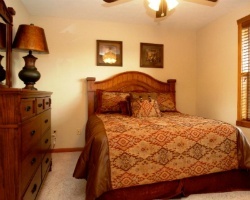 As an owner you will be immersed in luxury in either the one or two bedroom condominiums. 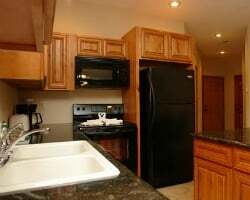 Each unit has been designed with comfort and luxury in mind. Relax in your oversized leather chair while watching TV on the flat screen and in case it gets cold start your fireplace with the remote control. This is a great way to escape the daily grind and enjoy everything this wonderful region has to offer. Perfect option for families! Week 17! Buyer may receive a title fee credit, inquire for details! Great option for families in exciting Branson! Week 8 every year! Buyer may receive a title fee credit, inquire for details! Set in the beautiful Ozark mountains! Buyer May Receive A Title Fee Credit, Inquire For Details! Available during week 51, Christmas Week! Buyer May Receive A Title Fee Credit, Inquire For Details! 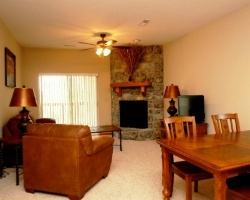 Perfect resort for your family-friendly Branson vacations! Make an offer today! Buyer may receive a title fee credit, inquire for details! Get to choose any week in beautiful Branson! Buyer May Receive A Title Fee Credit, Inquire For Details! Private resort in the Ozark mountains! Floating week! Buyer may receive a title fee credit, inquire for details! One of Branson's top family getaways! Annual floating, red season week! Buyer may receive a title fee credit, inquire for details! Price reduced! Enjoy one of Branson's top family getaways OR exchange with RCI for 77,750 points! Buyer may receive a title fee credit. Inquire now!